For many skincare aficionados, lasers are seen as miracle workers. They can help correct issues including redness and rosacea, dark spots and photoaging, scars, hyperpigmentation (such as melasma), and, of course, fine lines and deeper wrinkles. But as appealing as all those benefits sound, lasers tend to come with one big caveat for some — the fact that they can damage deeper skin tones. To be more specific, lasers can be problematic for complexions that fall between Type IV (moderately brown skin that burns minimally, but always tans well) and Type VI (deeply pigmented dark brown to darkest brown skin that nevers burns) on the Fitzpatrick phototyping scale. 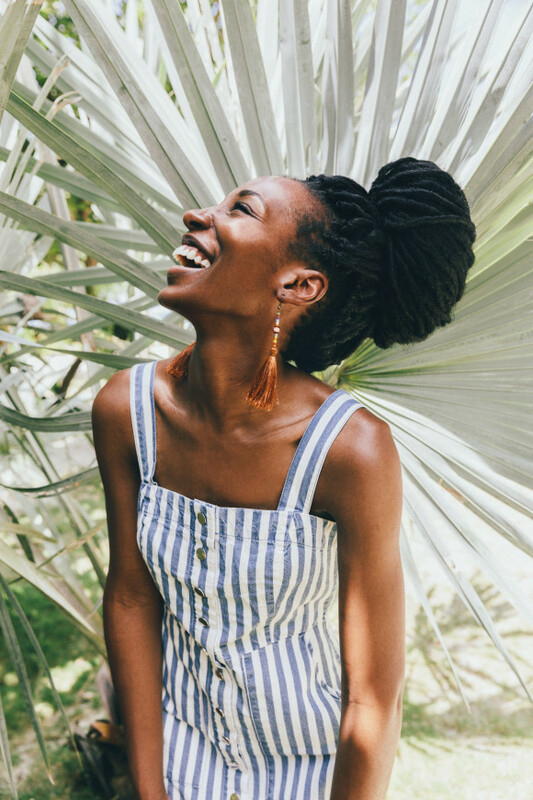 According to Chico, California-based dermatologist Dr. Kafele Hodari, who specializes in skin of color, those with darker tones have more efficient or powerful ways of producing melanin. The downside of that characteristic is when skin is dealing with an injury or trauma — such as laser treatment — it can lead to uneven pigment or discoloration known as post-inflammatory hyperpigmentation (PIH). Dr. Hodari points out that some technology in particular, namely intense pulse lasers (IPL), are especially harmful to deep skin. (This includes BroadBrand Light (BBL)™ — and photofacials.) They can cause burning, scarring, and hyperpigmentation. According to Christian Karavolas, owner of Romeo & Juliette Laser Hair Removal, that hyperpigmentation can last for months or even become permanent. That said, there still are a handful of options for those with deeper complexions. Dr. Sumayah Jamal of the Schweiger Dermatology Group in New York says that the key to ensuring that skin of color isn’t affected by lasers is to choose an Nd:YAG device. They’re the most effective option for darker complexions than a diode, ruby, or Alexandrite laser, which could be harmful. According to Dr. Jamal, the Nd:YAG features a 1064 wavelength that bypasses the top layer of skin where damage often occurs. “Other lasers can be associated with complication rates as high as 60 percent, as compared to less than two percent for 1064 Nd:YAG lasers,” she says. That’s why it is so essential to pick a qualified provider — seeing an experienced technician could help reduce any complications. Jamal also notes that the method used to cool the skin during the procedure is also important to consider for complexion-compatible treatments. She suggests opting for contact cooling instead of air-based cooling systems, as the latter can sometimes cause the skin to turn very light or dark for months. “The safest laser hair reduction system for SOC [skin of color] is a 1064 Nd:YAG with contact cooling, like the Scion Profile,” she says. To make booking an appointment easier, we’ve tracked down the specific treatments that can be effective for this often overlooked selection of skin tones — Fitzpatrick Type IV through VI. Experts have given us the complete rundown on which lasers will address the needs of deeper complexions, whether you’re looking to address skin concerns, remove unwanted hair, or even fade a tattoo. But remember, be sure to speak with a board-certified dermatologist or licensed technician to further discuss your options. You’ll want to find out if you need a specific skin protocol prior to treatment. For most, you may need to stop the use of any skin-sensitizing medications, including isotretinoin for acne, or a temporary break in your retinol routine. For tattoo and laser hair removal treatments, you’ll need to shave the area beforehand for the most effective results. What it does: The gentle laser jumpstarts the production of collagen under the skin’s surface to prevent and improve the signs of aging, such as fine lines, skin tone and texture, minimize pores and acne, even out skin tone, and enhance radiance. Cost per session: $825 on average, though prices may vary by location and practice. There are 4-6 treatments recommended to see a visible shift, with one session a month to allow for recovery time. What to expect during the treatment: The laser is rolled over the skin, creating micro-injuries to help pump up the collagen production. You might feel slight discomfort, but it’s well tolerated by most. What to expect afterward: You might see some slight redness immediately after the treatment, but the cooling system should help calm inflammation. Wear only mineral makeup for the first 48 hours after treatment to avoid congestion, and be sure to apply a generous amount of sunscreen if you expose your skin to the sun. What it does: This laser resurfaces a small area of skin in order to help collagen production even the skin’s tone, help smooth and tighten skin, as well as improve the look of acne scars and discoloration from sun damage. Cost per session: It can range from $800 to $1,500, depending on the size and location of the treated area and which practice you choose to go to. Patients will begin to see a difference within two deep treatments, which will have a window of a month for recovery between each treatment. However, you may require more if you’re opting for a deeper resurfacing. What to expect during the treatment: The concentrated laser will deeply penetrate a small area of the skin to stimulate the fibroblasts beneath the surface to boost firmness. The skin’s surrounding area will help fire up the healing process to correct discoloration. What to expect afterward: There might be a bit of blood in the treated areas for two days following the treatment. But at worst, you’ll leave a little pink and slightly swollen, followed by a week of mild peeling and flaking. Regardless, you should refrain from applying any irritating or fragranced beauty products, including makeup, and be sure to protect your skin from the sun. What it does: The laser penetrates the top layer of skin to iron out fine lines and wrinkles, smooth surface scarring, brighten up dark spots, reverse sun damage, and treat actinic keratosis, a common precancerous skin condition. Cost per session: It ranges between $1,000 and $1,500, depending on the size and location of the treated area as well as by the practice you go to. Patients will begin to see a change within one to five treatments, with a month recovery between each treatment. What to expect during the treatment: The laser will penetrate the skin’s surface to promote collagen production and rejuvenate the underlying cells in order to help smooth out wrinkles and plump up deep scars. What to expect afterward: Your skin may be a little pink and slightly swollen for up to two days, followed by a week of mild peeling and flaking. It’s also recommended to skip out on any irritating or fragranced beauty products (including makeup) in the days shortly after your treatment, and of course, be sure to protect your skin from the sun. What it does: This lasers use a combination of wavelengths to help tackle hyperpigmentation (including melasma), pitted scarring, and wrinkles, as well as enhance radiance. Cost per session: A treatment can range from $600 to $2,200, depending on the size and location of the treated area as well as by the practice you go to. You can begin to see improvement as early as on or two more aggressive treatments, with a month of recovery in between. Alternatively, you can choose to have multiple treatments that are less aggressive to reach the achieve the same results over a longer period of time. You should discuss your options with a board certified dermatologist or a licensed practitioner. What to expect during the treatment: The area will be measured with motion tracking technology before the handpiece is rolled over the marked sections to ensure an even application. As it passes, one laser targets the top layer while the other focuses on the bottom layer to help stimulate collagen and elastin to repair damage. What to expect afterward: There might be some redness and swelling for a few days following the treatment. There might also be some peeling, so be sure to avoid any beauty products with active ingredients or heavy perfumes, including makeup, to avoid further inflammation. And be sure to apply a generous amount of sunscreen if you expose your skin to the sun. What it does: It uses infrared light technology to deeply heat up collagen to tighten sagging skin. While it does heat things up below the epidermis, the laser also uses sapphire contact cooling to protect the top layer of skin from getting damaged in the process. Cost per session: Prices can range from $275 to $2,500, depending on the size and location of the treated area as well as where you go for your treatment. The dermatologist or licensed technician might recommend between two to five treatments to see significant improvement with a month between each treatment for recovery. What to expect during the treatment: The infrared light dives into the deeper layers of the skin to heat up and, subsequently, speed up the collagen production process that slows down as we age. While it does crank up the heat below the epidermis, the laser also uses sapphire contact cooling to protect the top layer of skin from getting damaged in the process, so you should feel comfortable throughout without an anesthetic. What to expect afterward: There might be some redness and swelling immediately after the treatment, but because of the device’s contact cooling, it should subside within half an hour. 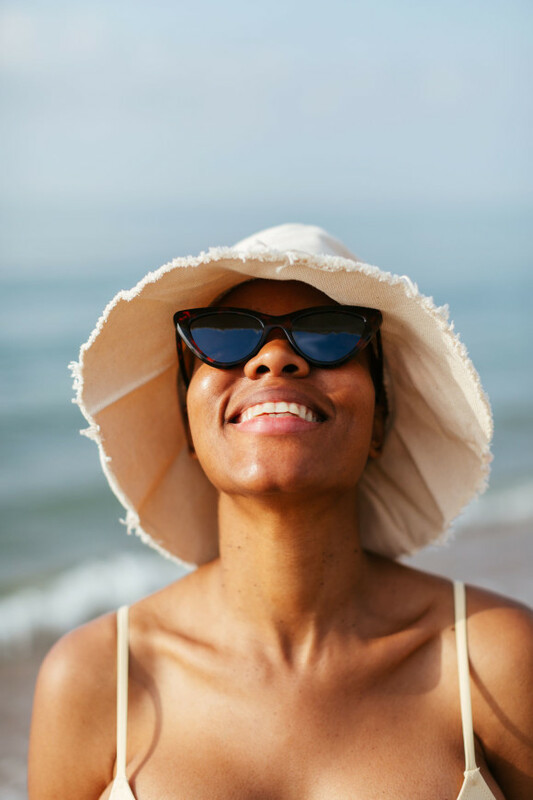 You won’t have to worry about being cautious with the products you apply once you’re done, but sunscreen is still an essential and should be applied before any sun exposure. What it does: This treatment uses a flat-top beam profile that can be adjusted to erase age spots, acne scars, sun damage, and melasma as well as remove tattoos fully. Cost per session: It can range from $150 to $400 per session, depending on the size and location of the treated area as well as by the practice you go to. Results can be seen between one to five sessions with a month recovery between each treatment, though it can take several sessions (between 10 to 25) to remove large tattoos. What to expect during the treatment: The laser go deep below the surface of the skin to help break up the pigmentation whether it’s from hyperpigmentation or tattoo ink without affecting the normal skin surrounding it. What to expect afterward: The skin may appear a little red for a day or two and can sometimes flake a little afterward, but in most cases, there is no downtime. For tattoo removal or especially dark pigment removal, the skin may bleed slightly, or might appear white or get darker immediately after. The recovery can take some time (usually one to four weeks) depending on the aggressiveness of the treatment, and bandages and antibiotic ointment may be required for a few days. Just be sure to skip any products formulated with fragrance or active ingredients to avoid any extra sensitivity, and slather on sunscreen to protect the skin from UV rays. What it does: This laser features the Alexandrite that Jamal warned us about, but it also features the Nd:YAG crystal laser. That one hits the safe wavelength for skin of color to use for permanent hair removal by targeting the melanin in the hair, not in the epidermis. Plus, it can even help with spider veins. But of course, you should speak to your derm or technician to ensure that it’s right for your needs. Cost per session: Prices can vary greatly, depending the purpose the treatment is for as well as what the area being treated, which can include area on the face like the chin and upper lip, which can cost approximately $75 per session, as well as on the legs for $700 and bikini line for $200. What to expect during the treatment: Given that the Nd:YAG crystal will be utilized throughout the process, it will penetrate deeper into the skin to heat and damage the follicles while they’re in their growth stage. It’ll also avoid the top layers of skin that would normally be affected by other types of hair removal lasers. But the might be some discomfort as the follicle heats up. If you’re opting to target spider veins, the lasers dives below the surface of the skin to destroy the vein. What to expect afterward: After each treatment, you can expect to see less and less hair growth in the areas treated. Any ingrown hairs will disappear, and the skin will work to repair itself to its natural condition. You should avoid tanning for at least two weeks, so be sure to step up your sun protection afterward. Additionally, the next treatment will likely be less uncomfortable, as there will be less hair to target. 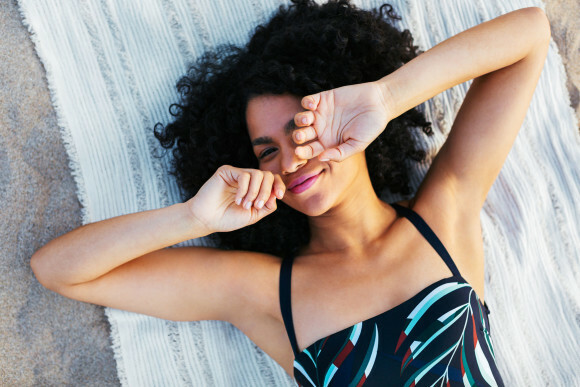 If you’re choosing to destroy your spider veins, they will be reabsorbed by the body and disappear — so there’s no aftercare necessary, save for some sunscreen. What it does: Similar to the Synchro REPLA:Y, this laser includes the forewarned Alexandrite crystal, but it also has the Nd:YAG crystal that hits the safe wavelength for skin of color to use for permanent hair removal by targeting the melanin in the hair. Plus, it can even help with razor bumps, facial and spider veins, and pigmented lesions. However, you should absolutely speak to your derm or technician to ensure that it’s right for your needs. Cost per session: Prices can vary greatly depending which purpose the treatment is for as well as the area being treated. This can include areas on the face like the chin and upper lip (which can cost approximately $75 per session), or the legs for approximately $700, or bikini line for around $200. What to expect during the treatment: The Nd:YAG crystal will be utilized throughout the process. This technology will penetrate deeper into the skin to heat and damage the follicles while they’re in their growth stage, while also avoiding the top layers of skin that would normally be affected by other types of hair removal lasers. If you’re opting to target spider veins, it goes well below the surface of the skin to destroy the vein. If you’re targeting pigmentation, the laser will penetrate those deeper layers to break up the excess melanin. There might be some discomfort, but you have of two cooling systems to choose from. There’s the air-based mechanism as well as a dynamic cooling device, which delivers low-temperature cryogen right after the laser pulses. What to expect afterward: After each treatment, you can expect to see less and less hair in the areas treated. Any ingrown hairs would disappear, and the skin would repair itself to its natural condition. During your next treatment you’ll likely experience a reduced level of discomfort since there is less hair to target. If you’re eliminating extra pigment, the skin may appear a bit pink and tender shortly afterward, but that redness should quickly disappear, thanks to the cooling systems. You should avoid tanning for at least two weeks, so be sure to step up your sun protection afterward. If you’re choosing to destroy your spider veins, they will be reabsorbed by the body and disappear — so there’s no aftercare necessary, save for some sunscreen.